Chronic cerebrospinal venous insufficiency is increased in prevalence among patients with multiple sclerosis, but is unlikely to play a primary causative role in the disease, a large study suggested. Using echo-color Doppler, abnormalities of the cerebrospinal veins were identified in 62.5% of patients with MS when borderline cases were excluded, in 45.8% of those with other neurologic disorders, in 42.1% of those with clinically isolated syndrome, and in 25.5% of healthy controls, according to Robert Zivadinov, MD, PhD, of the State University of New York, Buffalo, and colleagues. 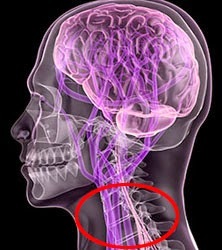 The highest prevalence was seen in the progressive forms of MS, being identified in 89.4% of patients with secondary progressive disease, which suggests that chronic cerebrospinal venous insufficiency "may be a consequence rather than a cause" of MS, Zivadinov and colleagues wrote online in Neurology. "Several studies have reported hypoperfusion of the brain parenchyma of patients with MS advancing with disease progression, and it is possible that the venous anomalies may be secondary to reduced perfusion," they explained. When a group of Italian researchers proposed in a series of papers that venous insufficiency was the cause of MS, tremendous controversy ensued -- at least in part because deaths occurred when surgeons attempted stenting as a treatment. In an editorial accompanying Zivadinov's study, Robert J. Fox, MD, and Alex Rae-Grant, MD, of the Cleveland Clinic, wrote that the public response to the Italian reports was "profound." "Websites, blogs, Facebook pages, and other social network media promoted the [venous insufficiency] theory as salvation for patients with MS. Around the world, websites sprang up advertising treatment," observed Fox and Rae-Grant. Other researchers tried to replicate the Italian findings in small subsequent studies but had conflicting or inconclusive results. Zivadinov's group therefore sought to address the controversial hypothesis in a cross-sectional study that included 500 participants. They performed transcranial and extracranial echo-color Doppler looking for five abnormalities of the vasculature, such as stenosis of the left internal jugular vein, reflux in the deep cerebral veins, and a lack of flow in the right internal jugular vein. When borderline cases of multiple sclerosis were included, the sensitivity of the venous insufficiency criteria was 56.1%, specificity was 77.3%, positive predictive value was 81.4%, negative predictive value was 49.8%, and the odds ratio was 4.33 (P<0.001), the researchers reported. This differs notably from the 100% sensitivity and 100% specificity in differentiating patients with MS from controls claimed by the original proponents of the venous insufficiency hypothesis, Zivadinov and colleagues observed. The finding of cranial and extracranial venous ultrasound abnormalities in "substantial proportions" of patients with other neurologic disorders and healthy controls argues against the venous hypothesis, according to editorialists Fox and Rae-Grant. Fox and Rae-Grant noted that the U.S. and Canadian Multiple Sclerosis Societies have provided funding for a further study that will include 500 patients with MS and 600 controls and will involve assessment with magnetic resonance angiography, venography, and pathologic evaluations of autopsy specimens. "If chronic cerebrospinal venous insufficiency is a useful clinical or research endeavor for some proportion of the MS population, we should acknowledge its importance. If [it] is not found to be linked to MS, efficient and definitive studies will let us redirect precious resources toward research efforts more likely to advance the understanding and treatment of this disease," they wrote.